While former light heavyweight champs Quinton “Rampage” Jackson and Lyoto Machida have rightfully hoarded the UFC 123 headlines, the card’s co-main event between BJ Penn and Matt Hughes should provide some thrills in Motown as well. The Hawaiian shocked Hughes in their first meeting at UFC 46 by moving up a division to steal the 170-pound crown. After the 1stRound rear-naked submission victory, Penn vacated the title and left the UFC over a bitter contract dispute. Hughes gladly reclaimed the belt shortly after and proceeded to rule the division for the next couple of years. Hughes avenged his loss in their rematch at UFC 63 back in September 2006. 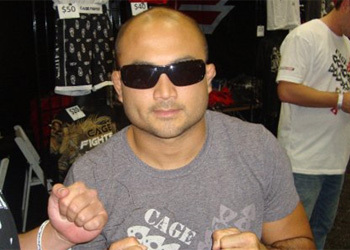 Although their first two rounds were competitive, Penn was completely gassed in the final stanza and was sent off to dominate the lightweight division immediately after. Up until his last two outings, Penn was unquestionably the planet’s top 155-pounder. Fast forward two convincing unanimous decision losses to reigning champion Frankie Edgar and Penn once again finds himself division hopping. The show takes place November 20th inside The Palace of Auburn Hills in Detroit, Michigan.